For Richer Or Poorer, Do You Take This Debt Too? It’s no secret that plenty of people have debt, sometimes lots and lots of debt, prior to getting married. And if it is a secret, hopefully, it comes as no surprise to the person who is about to be affected by this debt as well. 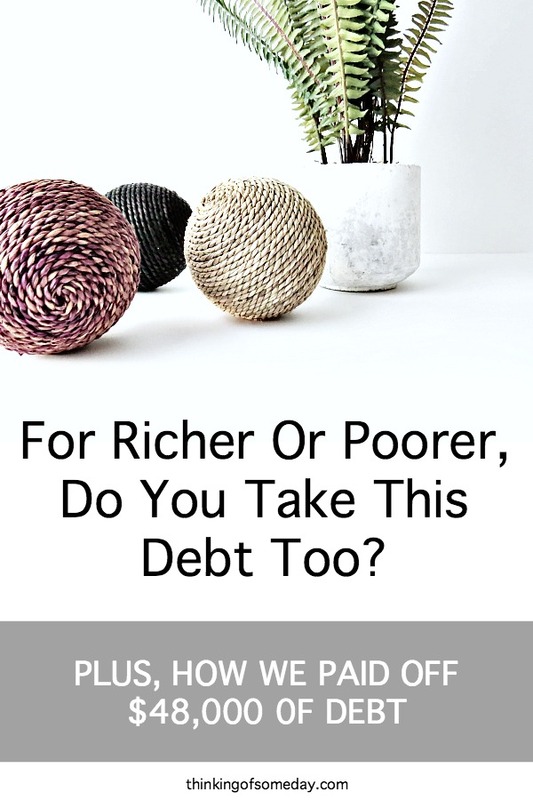 Regardless of when you find out about your significant other’s debt, the question stands, For Richer Or Poorer, Do You Take This Debt Too? Of course some people might have more debt than this and some people might have less than this or even other types of debt like medical bills. And we were no exception. Before getting married we both dealt with auto loan debt and credit card debt. And one of us had student loan debt. Once we were married, one of us was debt free and the other was not. So what were we to do? Each of us paid off our credit debt prior to getting married. However, I still had my car loan left, which was originally around $12,000, while Omar had already paid off his car loan. Luckily and thankfully to Omar’s dad, Om car was able to avoid student loan debt altogether. I, on the other hand, wasn’t so lucky. By the time I finished nursing school I had $36,500 in student loan debt. After paying off my credit card debt I knew that some of my student loans would be next since I had decided that I would pay off my debts from smallest to largest. I did manage to pay some of them off before Omar and I got married. However, a big chunk of my student loans, as well as about half of my car loan, remained. I knew that even after we got married I would continue to pay off my debt. But, how did Omar feel about For Richer Or Poorer, Do You Take This Debt Too? For me, the answer was a resounding yes. There wasn’t a point in getting married if Kim and I weren’t all in on this adulting thing. Before we got married I was debt free and Kim had 48K in debt. It was a no brainer for me. Yes, I was “inheriting” 48K in debt but I was also getting a person who was dedicated to getting rid of it and dedicated to living without debt going forward. 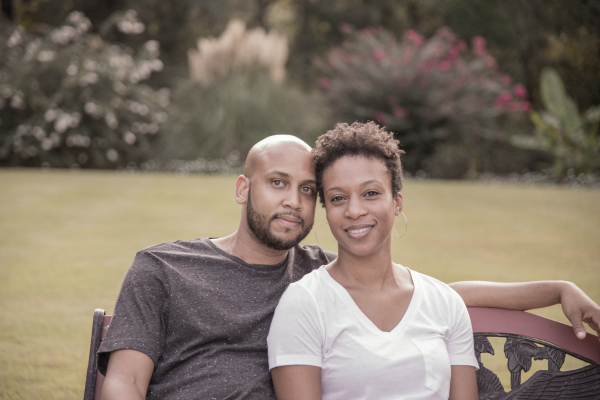 For more details on our journey to becoming debt free as a married couple, check out, How Omar and Kim Broke Free From $48,000 of Debt, which is a Podcast interview that we did with Talaat and Tai of His And Her Money. It’s the very first Podcast we’ve ever been featured on. We were thrilled when Talaat and Tai reached out to us, but as the days got closer and closer to our Skype interview… We were very nervous. Lol. But we quickly overcame that once we started talking to them and sharing our story. We hope you get a chance to check out the interview and enjoy it! So tell us, did you and your spouse talk about your debt(s) before marriage? Did the both of you decide to pay back the debt together or individually?